There is a large cast of characters in the Kingdom Series, and not all of them have been dragged from the pages of history. The main one is Hal of Herdmanston and he is pure invention, though based – as was Orm of the Oathsworn - firmly in his historical context. Hal – Sir Henry Sientcler – is the only son of the lord of Herdmanston, which is a minor holding of the Sientclers of Roslin. Roslin, of course, has been made more famous in recent years thanks to its chapel, now called Rosslyn and built long after the events these books cover – but was an important fortress even in the time of Bruce and Wallace. 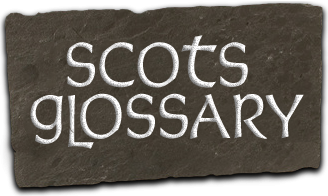 The Sientclers (or St Clairs, St Clares, Sinclairs or any other variant spelling you care to dream up) became renowned, not least for Rosslyn Chapel – but Herdmanston, though it existed, is now no more than a rickle of unmarked stones in a field in Lothian. Why the Sientclers at all? Because I needed a powerful Lothian family who could oppose the dominant force in the area, Patrick of Dunbar who, with his son, was a committed supporter of the English right up until the aftermath of Bannockburn. Why Lothian? Because that was the battleground of the Wars of Independence, more so than any other part of Scotland. Hal Sientcler of Herdmanston is typical of the minor nobles who found themselves in the confusion of a civil war. A man in the full of his life when we meet him, he is already reckoned to be a good fighter and has been pursuing the usual life of a small, impoverished noble of the March, that area of inconstant weather, terrain and loyalties – raiding across the border. He is lucky at it, too and men admire him for being, as one says, a man who could fall in a barrel of shite and come up with the only gold in it. History is changing, all the same. Following Edward 1's first campaign in 1296, the one which disposed of King John Balliol and sacked Berwick, most of the nobility of Scotland swore fealty to him and made their mark on a document to prove it. This charter, so hung about with ribbons and seals of Scotland's finest, resembled a ragged hem and was called the Ragman Roll – like all the other nobles, the Sientclers of Herdmanston added their seal to it. But the whirl of politics made a mockery of any such oaths. Fealty to a liege lord and a neighbour was more important and, in an eyeblink, you could end up a rebel without even seeming to have done much. Hal of Herdmanston finds that he has to navigate this dangerous water, where brothers could end up enemies, best friends betray you and even your own kin plunge you into harm's way. In the process of riding through three books and twenty years of rebellion, Hal encounters all of them as well as the great and good of Scotland's history. Ironically, as a fictional character he rubs shoulders with the real people of Scotland's history more closely than you or I ever can – I hope you enjoy him as much as you seem to have taken to Orm. They are not, of course disimilar and the jump from Vikings to Wallace and Bruce is not such a large one. The last battle with the Norse took place at my home town, Largs, in 1263 and the initial rebellion against Edward I began in 1296. It is possible, then, to have had people who witnessed both events in that 36 year span. Unlike the earlier Dark Ages, there is no paucity of sources for the Scottish Wars of Independence, or the lives of Wallace and Bruce – what there is instead is a contradiction of times, dates, places and people, sometimes accidental, more often deliberate from those being paid to enhance the reputation of their subjects. That, coupled with the general attempts to revise history in favour of the various protagonists, have polished the personae of Edward I, Wallace and Bruce almost beyond recognition, while creating the impression that the war which culminated in the battle of Bannockburn was one of the freedom-loving Scots against the tyranny of England. Ask any Scot in a pub and they will tell you chapter and verse on Bruce and on Wallace – they may even pour scorn on Mel Gibson and Braveheart, while admitting that they thoroughly enjoyed the movie, even the pseudo-kilts, face-painting (now seen at every Scottish event) and waggling of bare arses at opponents. Bruce is now the Hero King, forever set in the stern, regal gaze from that Pilkington statue on the Bannockburn Heritage Centre site. The truth is harsher and more misted. Braveheart is a dubious interpretation of already dubious history, while relative sizes, and composition and exact location of the armies at Stirling Brig and Falkirk is supposition and best-guess, depending on whom you read. Bruce was, in truth, a manipulative, devious and ruthless player of the game of kings in a time of contradictions, when all those attributes were lauded as much as the vaunted chivalry and honour of knighthood. Edward 1 was more than a match for him and they were, in truth, closer to each other in understanding and behaviour than either of them were to Wallace. There is no doubt that the major protagonists were genuine heroic figures to a large body of opinion, in their own lifetimes and since. Equally, they were regarded as the blackest of terrorists to much of the rest of the population of both Scotland and England. Nor was this a war of the Scots against the English, as simple as the howls, flag waving and singing from the terraces at the – now rare – football internationals between the two countries. This was a Scottish civil war more than anything, with the powerful Comyn, Buchans and Balliols against the determined Bruces and their allies for the possession of the Kingdom of Scots. Edward I, the opportunist, tried to muscle in and soon realised his expensive mistake, as both sides used him unashamedly to further their own ends. He is not the out-and-out villain, the 'proud Edward sent hame to think again' about trying his tyranny on the Scots; to the English he was one of the best kings they ever had and they feared – rightly – his passing. Let's not forget that the King Edward whom Bruce sent home to think again at Bannockburn was not the father, against whom he did not win as much as an acre of ground in all the years they fought; but the son, from whom he took a kingdom in a single day. I have tried to give Bruce and Wallace and Edward I back their original lives, after a fashion, to show them against the backdrop of the times while also unveiling some of the people, great and small, fictional and historical, who struggled to live in that emerging Scotland. I hope I have written this well enough to leave the reader guessing as to which of the people you are reading about is real. Think of this as stumbling across a cache of previously hidden monkish scribblings which, when read by a flickering tallow candle, reveal fragments of lives lost both in time and legend. 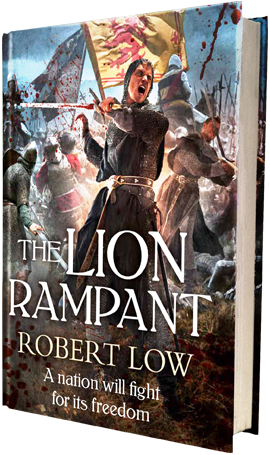 Determined to bring the north under his control, Edward instead unleashes a Scottish rebellion which unites the many warring factions against him - though the old hatreds are not easily put aside. 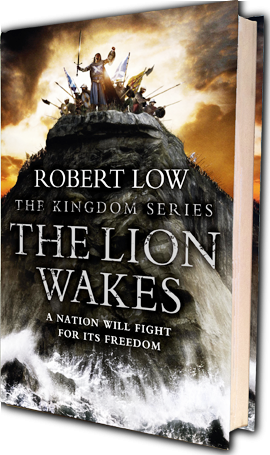 As the rebellion gathers pace, Sir Hal is thrust into the maelstrom of plot and counterplot which shapes the lives of the great and good in both realms - including rebel leaders William Wallace and Robert the Bruce - as well as neighbours who now find themselves on opposite sides of the battlefield. Hal makes a powerful enemy out of the Earl of Buchan, arch-rival of the Bruces, and swears revenge. 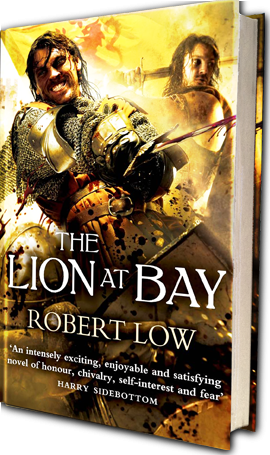 But first he must survive battles at Stirling Brig and Falkirk; the treachery of rival factions; and guard a secret that Robert the Bruce would protect from the outside world at any cost. William Wallace fled to France after his defeat at the Battle of Falkirk, which ended his rebellion against the English King. He would have been slain at Falkirk but for the courage of Hal of Herdmanston, whose home was razed in reprisal by King Edward – but who has become a follower of the Earl of Carrick, known as the Bruce, now a friend of the English. The Bruce is playing a dangerous game in submitting to Edward since his own ambition, fostered by his auld reprobate grandfather, is to be the King of Scotland. But bitter rivalry amongst the Scots nobility is as grave an obstacle to its independence as the forces of the English Edward Longshanks, and the Bruce has powerful rivals. Wallace has returned home, though he still faces betrayal from his own. His loyalty is to the previous king, John Baliol, a prisoner of the Pope. Knights Templar, Cathar heretics, and a Curse laid on the Bruce’s family all conspire against Robert, as well as Edward’s forces. Murder and treachery will be crucial weapons in the long and bloody rise of the Bruce to his coronation. The whirl of politics makes a mockery of oaths. Loyalty can be bought. Brothers end up enemies, kin can betray you – and in the blink of an eye, you become the hunted. 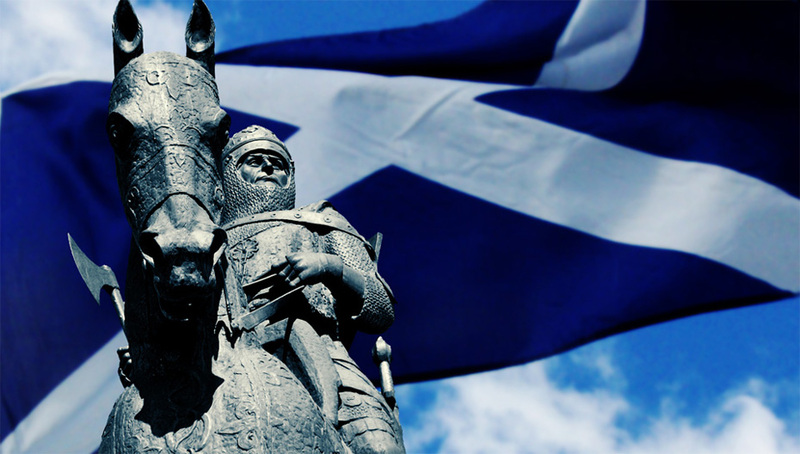 A band of brothers has lost almost everything honouring their oath to Robert the Bruce. Wives, daughters, sisters, brothers and lovers have been slain or imprisoned. After seven long years of struggle and endurance, Bruce and his loyal supporter, Hal of Herdmanston, will come face-to-face with Edward II, the English King humiliated by defeat and determined to put down his Scottish enemy once and for all. And the last great battle for the Scottish throne will be decided on a bloody field called Bannockburn.